There was a time, not too long ago, when each and every year I would look ahead to the big games I wanted to get. The only system I had at the time was an Xbox 360, my first dedicated video game system. All of them where generally big, hyped releases that would undoubtedly make massive amounts of money for their developers. I would grab $60, and either preorder or purchase on release day in-store. Once I had my much-anticipated game in hand, I would proceed to sink hours into it, because I had waited for that moment a long time, and I was now ready to dive in without reserve. After a few weeks, or sometimes months, and maybe even a year (I'm looking at you, Skyrim) I would be finished with the game, and awaiting the next massive release, in a continuing cycle of triple-A releases. Then, the great change occurred. I got a gaming PC. For the first few months of owning said PC, I continued with my big triple-A purchases, until I began discovering the mysterious world of the indie game. You see, I still viewed my new PC as a console, not the open-ended platform that it had the potential to be. But before long, I found the Humble Bundle, and the glorious horror that is a Steam sale. Suddenly I was flush with indie titles, and my time for even a small chunk of them became nonexistent. Such was my initiation to the ridiculously well populated indie game scene, and the world of eternally backlogged PC gamers. Earlier this year, I looked ahead to the big games I planned to get. Dragon Age: Inquisition stuck out as an almost required purchase, and Dark Souls 2 seemed like a worthwhile choice, but nothing else excited me in a big way. Thus far this year, Dark Souls 2 has been my only physical game purchase, and I am now realizing how little importance I now place on the triple-A releases my entire video gaming experience used to be based on. It has become rather obvious that indie developers are the ones experimenting with video games, indeed the only ones with the freedom to do so. As triple-A games become ever more expensive to produce and market, sticking to the safe routes has become the standard. Notable exceptions exist, but by and large, big-budget video games have become a series of rehashes of content we've seen before. As such, indie games have become my new standard, my new triple-A. However, the conversion hasn't been completely smooth. I have gobs of unplayed indie games lying about. Gone are the days when I invested significant time in each and every title I purchased. Games that get past the one hour mark with me are in the minority, and getting rarer with each bundle and sale I participate in. 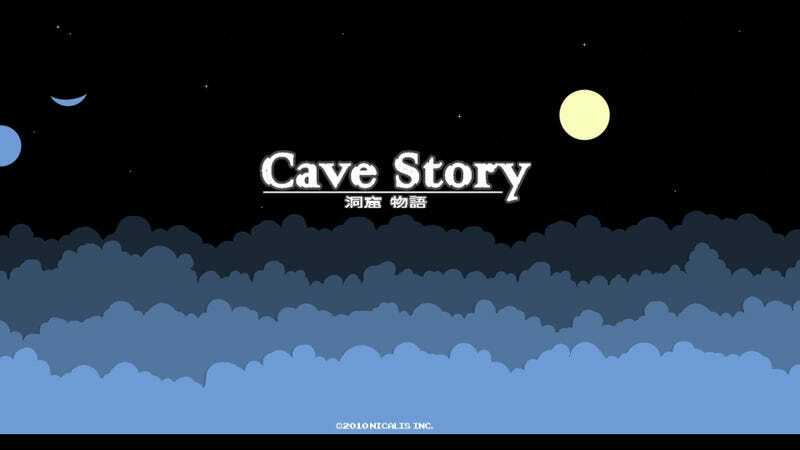 Whenever I find an exception to this rule, I am tremendously excited, and my recent playthrough of Cave Story+ is one of those exceptions. So what's the deal? Indie games have become my new standard, but on average, I've spent a lot less time with them than back in my days of triple-A bingeing. Is it better to spend less time with a continuous stream of new ideas, or a large amount of quality time with a tried-and-true formulas and storytelling in bigger releases? As we progress further into the future of video games, these questions are going to be important, as I suspect many of the points I've made apply to a larger group of people than just myself. I'm still looking for a balance, but one thing is for sure: indies are my new triple-A, for better or worse.